In the seal, there are five W’s that make the waves joining the sands of Okinawa to the world. This is to remind us of the importance of “who, what, when, where, and why” as we gather, learn, and provide information. Okinawa Arts Research Studies World Scene (OARS.WS) is a family based non profit started to keep our family rooted in the culture from which it has been separated from. Living in Texas, we are surrounded by and grow up with the culture from half our family. This non profit allows us the ability to open doors for education, community involvement, strengthening family values & ties, and just plain having fun as we work with those around us. 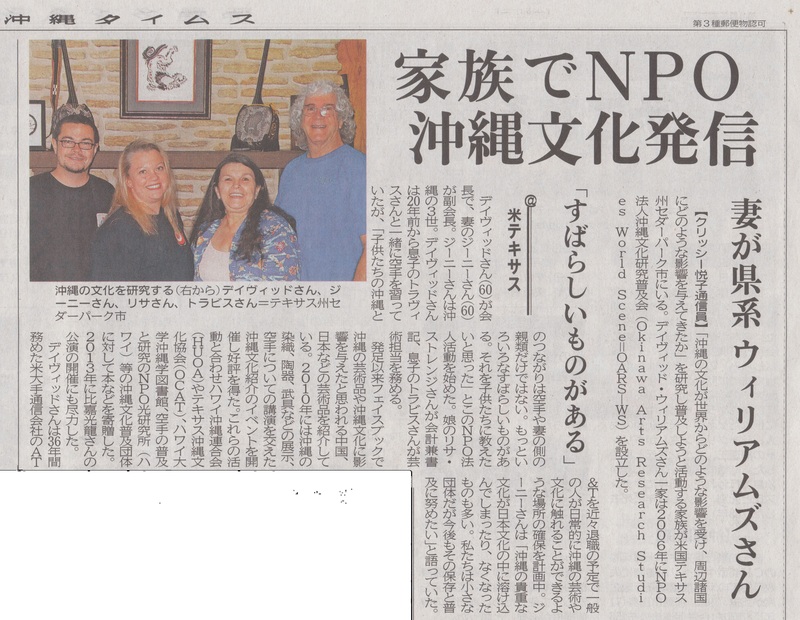 We would like to thank Etsuko Crissey for working with us on this article. We got our start with our first exhibit at the Austin Martial Arts Festival in 2006 at the Palmer Event Center in Austin, Texas. With this three day event we were allowed to show, through the arts, the influence various countries has had on Okinawa and the unique culture that developed. Through the arts we also showed how Okinawa has influenced the world. This was a great start for OARS as the Austin Martial Arts Festival was represented by artist from all over the world. We continue providing exhibits, demonstrations, seminars, sponsoring events, educating ourselves and others as we move forward in this world. So exactly where is this? About 6 minutes west of Cedar Park, TX. before you reach Jonestown. We finally upgraded enough to be able to open our doors to the public.